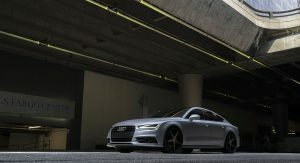 As brilliant as it may be, the new generation Audi A7 has a few problems. 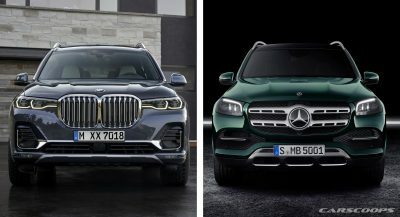 The first and most important is the competition, which comes in the form of the new Mercedes-Benz CLS and upcoming BMW 8-Series Gran Coupe. Shortly after comes its predecessor, which, if we may, has aged quite nicely. 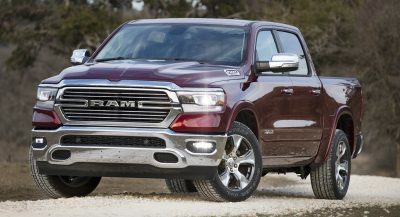 And with the newer model out, the first-gen is becoming more affordable each day, unless we’re talking about its two high-performance derivatives: the S7 and RS7. 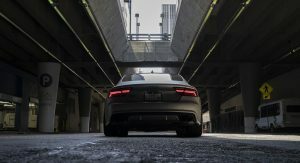 Powered by a twin-turbo 4.0-liter V8 petrol engine, the Audi S7 has 420PS (414hp / 309kW) and 550Nm (406lb-ft) of torque channeled to the quattro AWD through a seven-speed dual-clutch gearbox. This means that it’s 140PS (138hp / 103kW) and 150Nm (111lb-ft) of torque shy of its more powerful sibling, the RS7. In the real world and under ideal conditions, this means that the S7 can sprint to 100km/h (62mph) in just 4.3sec. 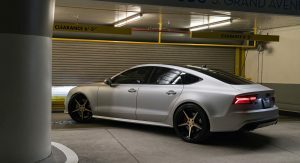 The RS7 is one second faster, whereas top speed is identical in both cases: an electronically limited 250km/h (155mph). The example that we’re about to present isn’t about winning any drag races. 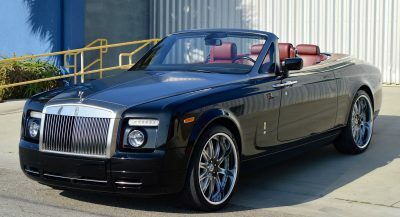 Instead, its owner has chosen to personalize it in a very discreet manner. 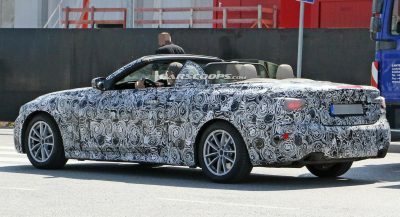 First, they chose a satin look for the exterior, although it’s unknown if it’s a vinyl wrap of a good ol’ paintjob. 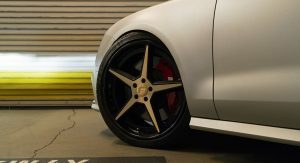 And second, they turned to Forgiato for a set of 21-inch Tec 3.8 Tecnica Series rims finished in brushed and gold, with “a chrome step lip on the passenger side and brushed gold and gloss black on the driver’s”, as the wheel maker explains. Rounding up the list of upgrades is a lowered suspension, which looks good but barely clears the fenders. THOSE RIMS STICK OUT LIKE A PAIR OF BROWN SHOES WITH A SKINNY SUIT. 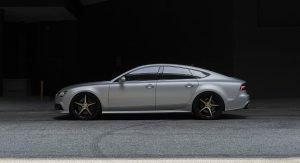 Those wheels make that S7 look like $h!t. LOVE it…looks elegant more than sporty..